Witness history come alive as hundreds of living historians re-enact life at Joseph Martin’s frontier fort. Watch as two cultures clash and the flames of war are once again ignited on Virginia’s frontier. Activities include tours of Cherokee Warrior and Colonial Militia camps, frontier fort life, and 18th century merchants and colonial traders selling their wares. Various seminars on 18th century topics will be conducted by world renowned historians and lecturers. 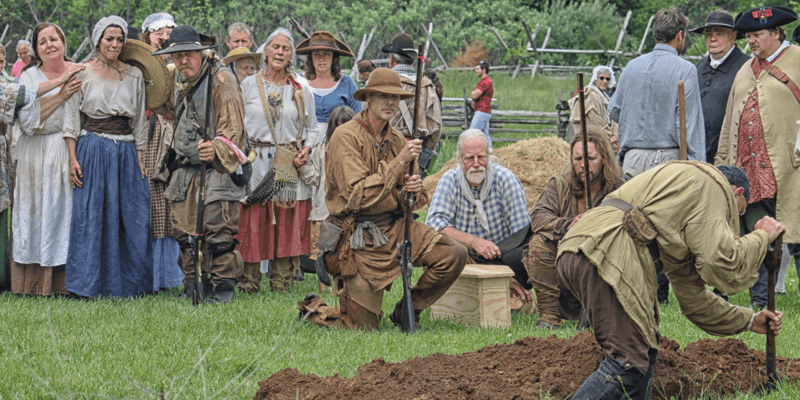 Frontier battles between the natives and the settlers highlight the event at 1 p.m. and 8:30 p.m. on Saturday. War is imminent.